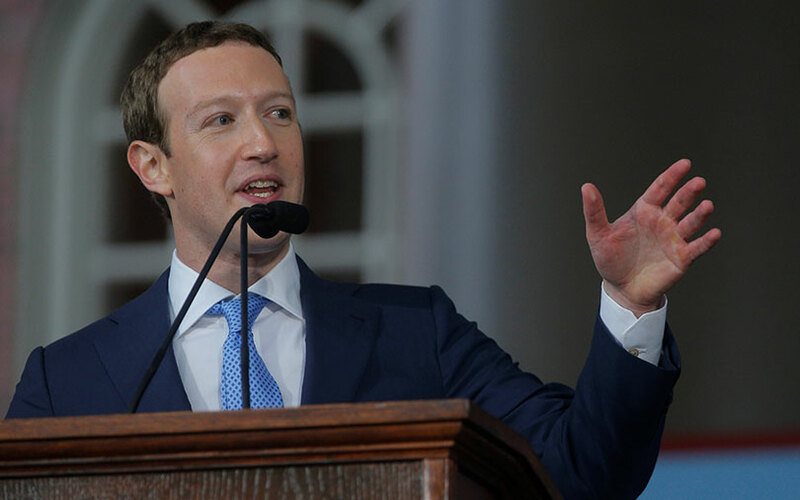 Mark Zuckerberg-led social media giant Facebook's India arm has launched startup and digital training hubs to help entrepreneurs start and scale up businesses besides imparting digital skills to jobseekers. Through the online hubs, the firm aims to train more than half a million people in India by 2020. The hubs, which are rolled out in the country with cooperation from local organisations, will provide digital skills and training for those who are looking for work. The service will also advise entrepreneurs on how to get started and help existing businesses leverage the internet. "We worked with local organisations, including Digital Vidya, EDII (Enterpreneurship Development Institute of India), DharmaLife and StartupIndia, to develop the learning curriculum, which is available on mobile in English and Hindi. The curriculum includes skills for tech entrepreneurs, including how to protect ideas, how to hire, how to go about getting funding, what regulations and legal hurdles one needs to consider and how to build an online reputation," the firm said in a statement. "This could mean teaching a small business owner how to create an online presence, helping a non-profit reach new communities and potential donors or helping a tech entrepreneur turn his/her product idea into a startup through practical business advice," it said. The digital training hub will provide free social and content marketing training for anyone – from students to business owners – who is looking to develop digital skills. The curriculum includes social media basics, how to build and create an audience, how to create content, how to measure online activity and how to stay ahead of the curve. It will also help people learn skills such as personal branding, digital storytelling, consumer behaviour and reputation management. “Digital skills unlock opportunities, empower people to dream big, build products, grow businesses and foster communities. We want more people to be have the opportunity to hone their skills, build businesses or create something for their community because investing in people can lead to incredible things,” said Ritesh Mehta, head of programs, Facebook, India and South Asia. On the other hand, the startup training hub will help developers and tech startups build better products and businesses. The curriculum covers how to build a business plan, how to build a product and how to grow a business. This includes vital aspects of setting up a company - idea protection, regulations, business planning, market research, hiring, funding and company expansion, the firm said. Citing a study conducted in partnership with Morning Consult, the company said nearly 81% of small and medium businesses on Facebook in India have been able to hire more employees due to growth in demand since joining the social media platform. The platform also helped an equal percentage of SMBs to increase sales, it said. According to the firm, digital skills are important when people are looking for jobs. "Almost 93% of small and medium businesses surveyed in India say that digital and social media skills are more important when making hiring decisions. Also 89% of small and medium businesses surveyed in India report that having a lack of familiarity with digital tools available is a challenge," the company said. Facebook claims that it has invested more than $1 billion to support small businesses globally since 2011. It also claims to have imparted training for more than 60,000 small businesses, including 12,000 women entrepreneurs, in India through initiatives such as Boost Your Business and SheMeansBusiness. Facebook has 217 million users In India. The number of new women-owned SMB pages on Facebook in the country grew 85% year-on-year from 2015 to 2016, it said.